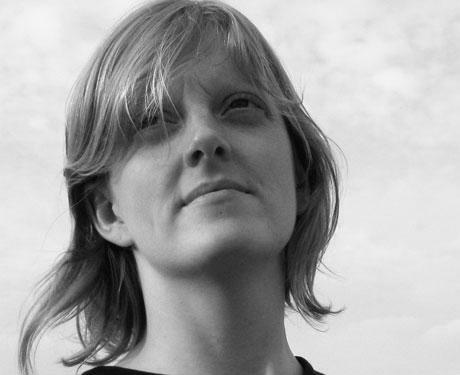 Kate Hall is a poet whose first book, The Certainty Dream, was shortlisted for the prestigious Griffin Prize in 2010. She completed her BA and MA in Creative Writing at Concordia University and has since been published in Boston Review, jubilat, PRISM, The Malahat Review, Arc, Denver Quarterly, Colorado Review, and LIT. She is currently on maternity leave from her post at Dawson College in Montreal. How did you get your start in writing? I don’t know when I got my start in writing really. I’ve written as long as I can remember, which seems sort of a lame thing to say; probably everyone who is a writer has written for a long time. I wrote when I was kid and as a teenager and I guess somewhere someone decides that the poems are worth reading. I would have kept writing anyway but that’s how it happened. There are two things that happen in getting your start as a writer. One of them is internal and how you feel about your own writing, the creative choices you make, the projects you embark on. Other things you have much less control over like how other people respond. A writer’s work happens so much in the dark, alone and it’s important that someone tell you it’s worth it. I am not talking in the sense of getting published or of having a first book because those things are very different. But somewhere along the line, someone has to tell you that you belong to the poetry. I’m sure every writer has had that experience, although probably they wouldn’t express it in those words. I have also been lucky enough to have had that experience or who knows? I’ve talked to other people who write poetry at various success levels, and there’s often this reticence in telling people that they’re a poet. I wonder if you’ve ever experienced that, and if so, how have you overcome that? I don’t mind telling people I’m a poet. I don’t hang out with very many other writers and I don’t think it’s embarrassing to be a poet. Other people do other things; I spend my time writing poetry. People mostly find it kind of interesting and want to know why I would chose to write poetry and what motivates me about it. I don’t worry very much about whether or not people are going to be judgmental or whether I feel worthy of that title or anything like that. I write poetry and I care very much about poetry so I suppose that makes me a poet. I don’t feel apologetic about it. Have you always been interested in being a poet specifically? I have always read poetry and philosophy. Poetry made sense to me. I don’t know if I was interested in being a poet or I just really loved poetry and started to write it. But I like great fiction too and sometimes write the occasional short story even though I never do anything with them. What is your daily writing process like? I write early in the morning with a cup of coffee when I’ve just woken up. I have a big family so it’s the only time that is quiet. And I try to write every day but I don’t always succeed. Sometimes I just stare at the wall but this seems to be an important part of the process for a reason I fail to understand. Your first book was nominated for the Griffin Prize. How has being nominated for a major award for your debut affected your career going forward? My career going forward, I don’t know. I am uncomfortable in the limelight. I haven’t tried to publish anything since, although I’m close to finishing a new manuscript so I don’t know really if I can answer that question at this point. You start out Certainty Dream with a quotation by Sartre and reference other philosophers and their ideas throughout the book. What about philosophy interests you and how do you use it in your process? I am interested in how philosophy affects our lives because of course it does. We are all dealing with things like language, uncertainty and mortality. These things affect us profoundly when they baffle us. They affect us emotionally when we have no answer for the questions. I am interested in how the tiny, ordinary individual deals with these things and still manages to set the table. This is poetry to me. In your poems, you bring a lot of ideas in philosophy, art, and science to a personal level for the speaker. What is your process like in identifying those ideas with the narrative that’s being told in your poems? I perhaps have just answered this question in the question above but I think we have to see the ways in which the bigger ideas enter the personal space but also how, since we cannot really see anything objectively (separate from our personal experiences) that the personal also enters the big ideas. The containers aren’t perfect. I find that interaction amazing. I don’t think about that really. I don’t know how I deal with it. I’m interested in the work. I’m not that interested in whether people reject it or want to publish it or think it’s amazing or hate it. I like to talk to people who have read the poems and I like to know about their experiences in life and with how they feel philosophy. I like to hear from young writers whom the poems matter to but the rest has never really phased me that much. I really try to stay out of the writing circles these days. Patrick Connolly is a writer originally from Edmonton, but now lives in Vancouver. He is currently in his second year of the Creative Writing Program at UBC.